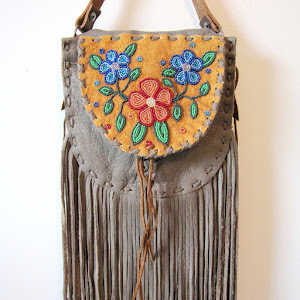 BEYOND BUCKSKIN: Announcing the #GoNative Winners! 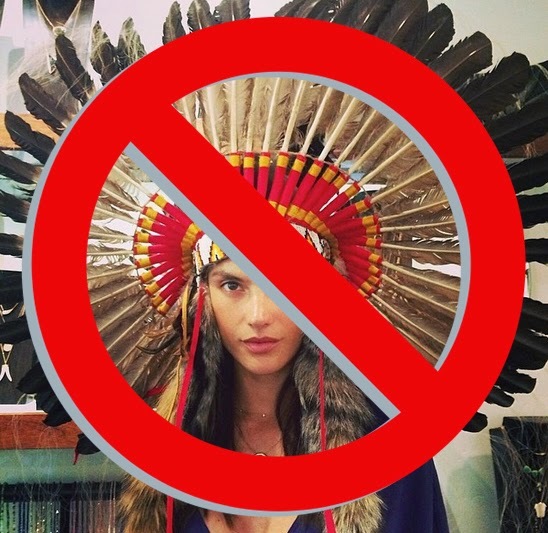 The #GoNative campaign has officially ended, but a lot of us will continue the #GoNative trend and wear Native American-made fashion everyday! It's a way to stand out, be unique, and support artists. If you're Native American, it can mean more - it's a way to express pride in your heritage and continue a beautiful legacy. Our top five winners racked up well over 200 Likes each, and some even over 300. Our winner, a surprise perhaps (?! ), cashed in over 400 Likes on Facebook! 5TH PLACE (left): thewomanbeader: Round dance accessories..Beaded medallion by Rachel Eaglevoice and quill and mirror earrings. 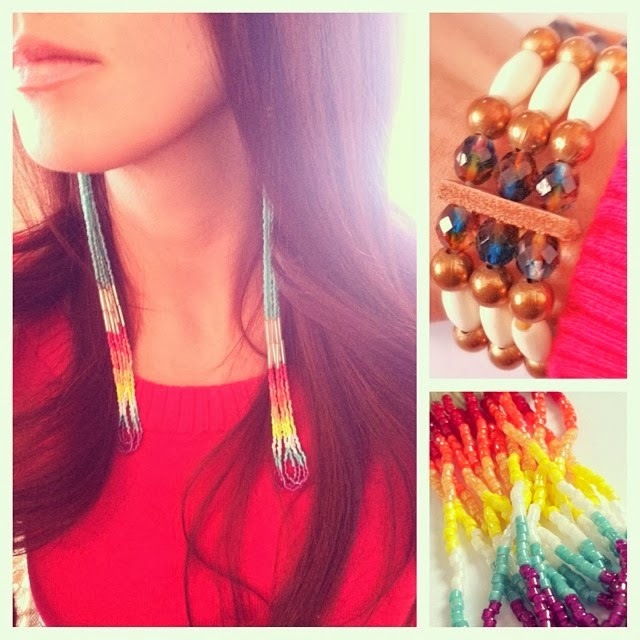 4TH PLACE (right): thewomanbeader: Support Inspiring Natives..not 'Native Inspired'. 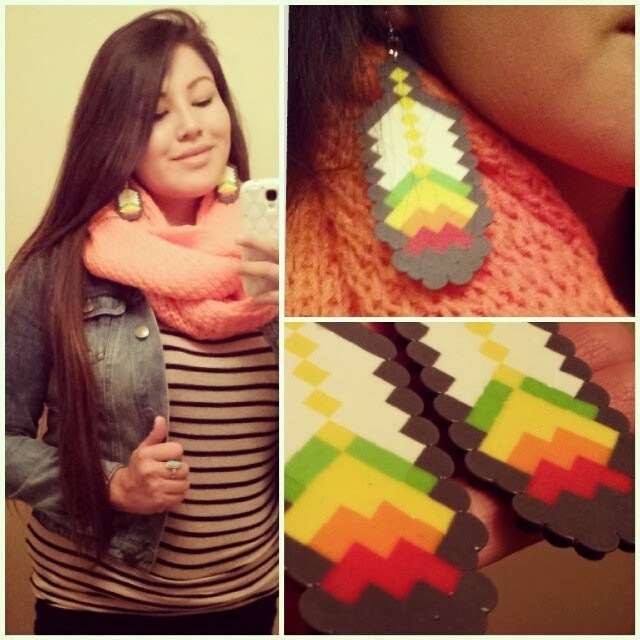 8-Bit Feather Fantasy Earrings by The Soft Museum purchased online at Beyond Buckskin. 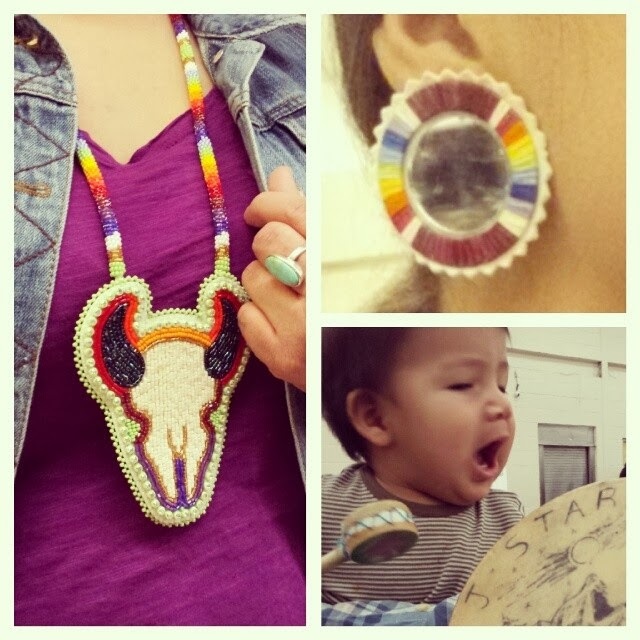 3RD PLACE (left): thewomanbeader: Koda with a beaded medallion. 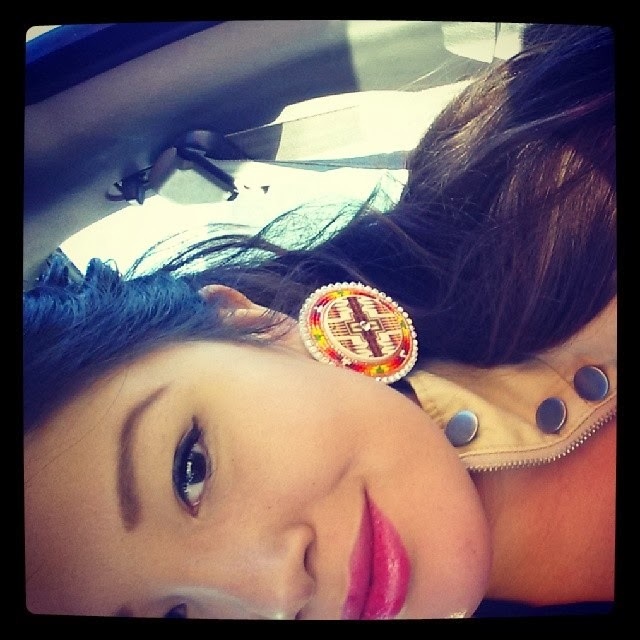 2ND PLACE (right): thewomanbeader: Earrings by Little Sky Customs that have been updated with some powwow bling by the wearer. 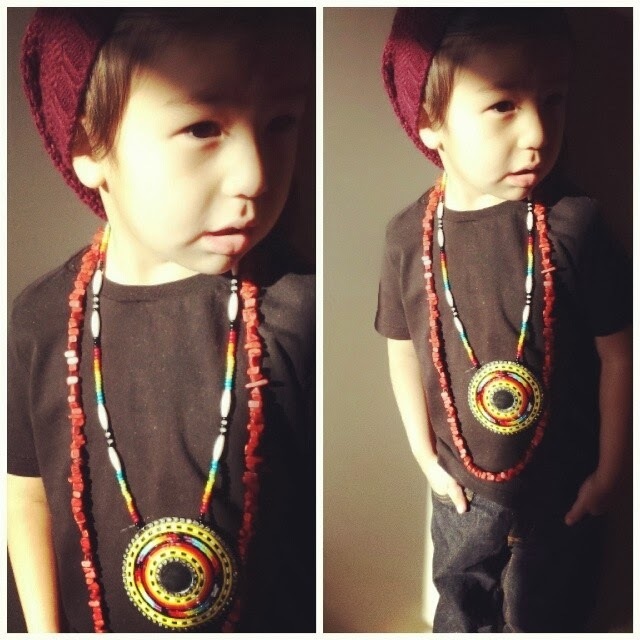 And our grand prize 1ST PLACE winner: dallasgoldtooth: "My submission for @beyondbuckskin GoNative contest. 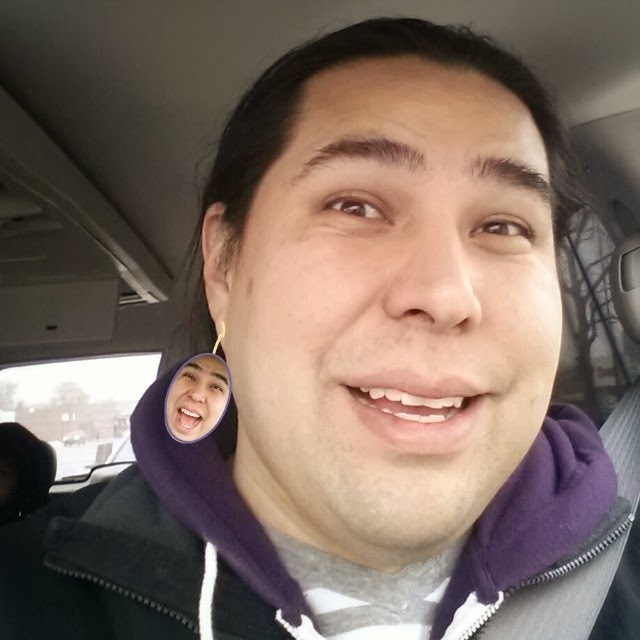 - goldtooth earrings made by @dallasgoldtooth. #gonative". Haha - well there you go! Maybe an unexpected win, but a great one since Dallas definitely helped spread the word about the #goNative campaign (as did the amazing Faith "thewomanbeader" Courtereille!) 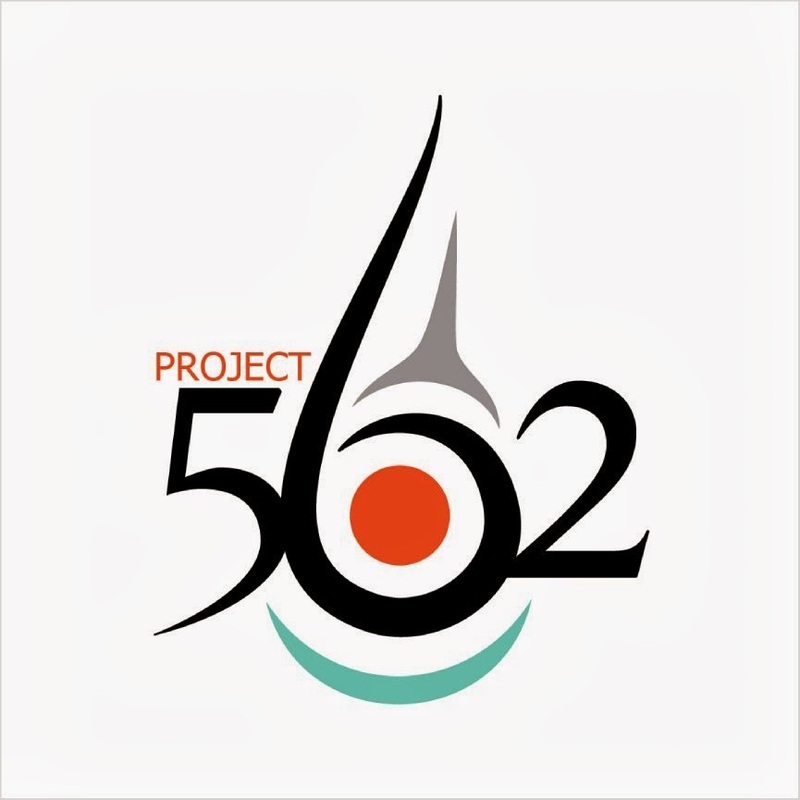 - which was a fun way to promote Native American artists and express Native pride. Click here to view the #goNative images on Instagram. Hey hey hey :) maybe we could follow each other on Bloglovin and/or GFC, Facebook?